Carriageworks and Smeg today announced a major new multi-year partnership launching January 2018, creating new opportunities for audiences to engage directly with leading chefs and producers at Carriageworks Farmers Market. – From the farm: a series, highlighting the personal stories of our producers. Mike McEearney, Chef and Carriageworks Farmers Market Creative Director, said: “For me, Carriageworks is the ultimate space in Sydney. This fantastic new collaboration with Smeg will propel the already excellent markets at Carriageworks upwards and outwards to be Australia’s best on equal standing to the Artistic Program. It is of paramount importance to me that local producers and the community are supported – this regular program of food programs will connect audiences to producers and the most fundamental and evocative part: the produce. 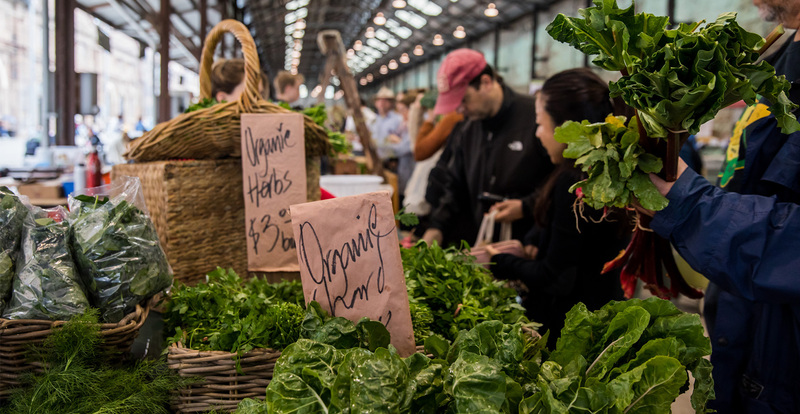 Central to Carriageworks Artistic Program is the Food Program and the weekly Carriageworks Farmers Market that is recognised as one of Australia’s leading farmers markets. The markets feature seasonal produce including organic and biodynamic foods from farmers and artisan producers from across New South Wales. Every Saturday between 8am -1pm, 5,000 people engage with over 70 producers that work within the core values of product authenticity, origin, knowledge, sustainability and excellence. Mike McEnearney is the Creative Director of the Carriageworks Farmers Market and Kylie Kwong is a Carriageworks Ambassador. The program of chefs and producers will be announced early December.